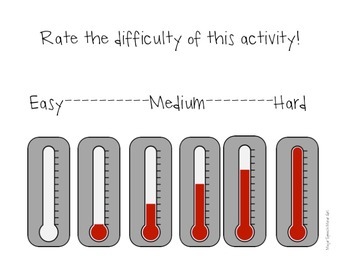 This activity was designed to help my students rate each activity we do in therapy based on how hard it was to them. I rate each activity as I thought for them and then they rate it. I feel it gives them an opportunity to have a say in the activities we do in my speech room!